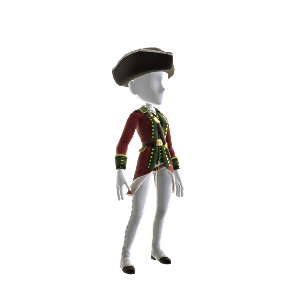 Outfit your Xbox LIVE® Avatar with Assassin’s Creed® III’s multiplayer character skin, The Redcoat. Don her uniform complete with red waistcoat, white stirrup trousers and tricorn hat to harness her merciless prowess! Look the part. Play the part. Only from Assassin’s Creed III.